Bernie Sanders' campaign floated a new idea on Monday: Sanders beats Democratic presidential frontrunner Hillary Clinton in states where he invests in winning. Sanders adviser Tad Devine told reporters that his candidate's large delegate deficit to Clinton was the result of the campaign's deliberate strategy to forgo certain states that they were certain to lose. Devine asserted that the Sanders campaign did not invest serious cash or time in Texas, Alabama, Virginia, Louisiana, Tennessee, Missouri, Georgia, and Arkansas, and may have been able to compete if it had. "I think what people are saying where that competition takes place, Hillary Clinton is emerging as a much weaker candidate," Devine said. She has gained advantage in a bunch of places where we didn't effectively compete because we chose a different tactical approach to the nomination. But as we go through the rest of these states, from California to the District of Columbia, we will compete and compete fully. "Those eight states where we didn't compete principally on 'Super Tuesday' resulted in almost all of her pledged delegate advantage right now," Devine said. "Essentially, 97% of her delegate lead today comes from those eight states where we did not compete," he added. Getting dizzy from bad Sanders spin. Is it meant to convince sentient beings or did they accidentally read scripts for their Twitter bots? In the last two weeks, Sanders has won a slew of smaller caucus contests, reenergizing supporters after Clinton's wins earlier in the month. On Sunday, Sanders notched big wins in caucuses in Alaska, Hawaii, and Washington. 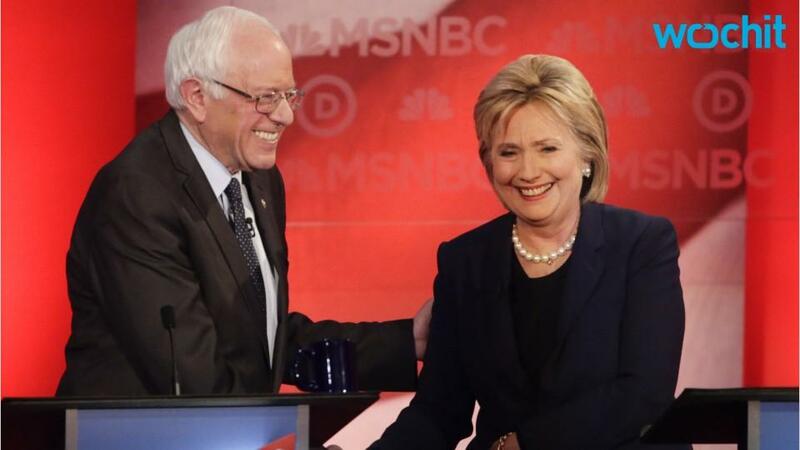 During the call, Devine and pollster Ben Tulchin labeled Clinton a "weak frontrunner." They touted Sanders' strong performance in theoretical head-to-head matchups against Republican candidates and how Clinton's unfavorable numbers reached a "historic high." Tulchin cast Clinton and Republican presidential frontrunner Donald Trump as mutually untrustworthy, saying that there was a "trust gap" between the senator, Clinton, and Trump. "Bernie is seen as uniquely honest and trustworthy among all the presidential candidates, particularly compared to Trump and Clinton," he said. "If you look at all three candidates — Bernie, Trump, and Hillary Clinton — Bernie is seen as very much honest and trustworthy by voters, while Trump and Clinton are not seen as trustworthy." Though Clinton and Sanders have sharpened their attacks on each other, Devine said that the party will be able to be stitched back together no matter who clinches the nomination. "It's not going to get so nasty we can't put the party back together," Devine said.